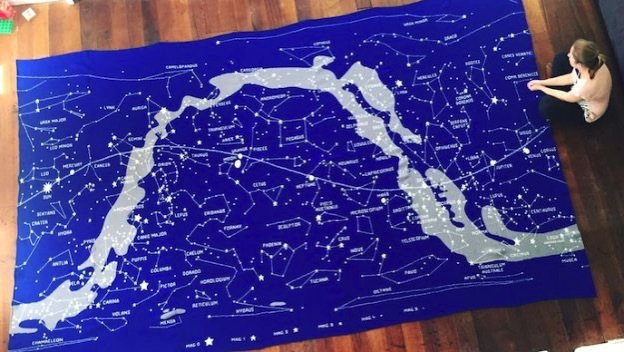 Starry Knit: Engineer Hacks Knitting Machine to Weave Stellar Tapestry #piday #raspberrypi @Raspberry_Pi « Adafruit Industries – Makers, hackers, artists, designers and engineers! Engineer Sarah Spencer hacks a vintage machine with the help of Rasperry Pi and the Adafruit Learning System. Spencer’s upgraded printer can knit massive and intricate tapestries. The device—a Brother KM950i from the ’80s—ticks all of Spencer’s boxes: It can accept an image with more than two colors in any row, from a computer, over the network. And, best of all, it does all the work, hands free (mostly). “As a woman in tech, I wanted to create something which would engage young minds in an area of STEM (science, technology, engineering, mathematics),” Spencer told Space.com. 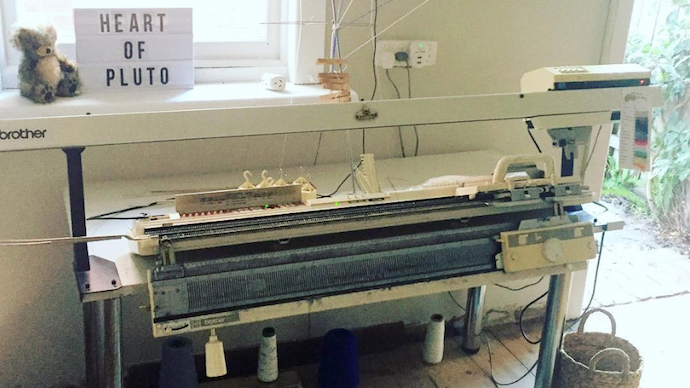 Spencer has been working with knitting machines since stumbling upon a 1970s model at a charity shop in 2012.